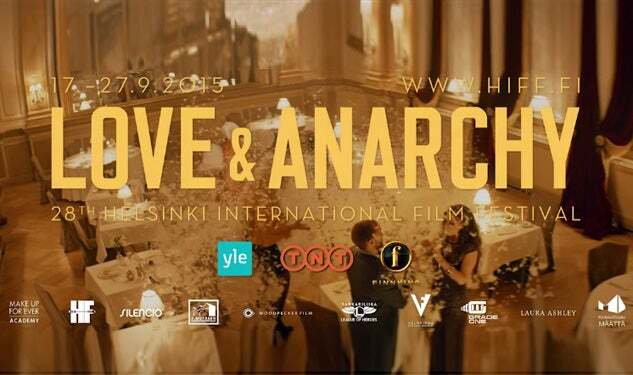 The Helsinki International Film Festival was back for its 28th edition this year with its usual, whimsical subtitle “Love and Anarchy”. With 190 films on 12 screens from September 17 to the 27, the 11-day festival attracted over 62,000 visitors last year and saw record numbers of international guests this year. The festival’s industry section, named the “Finnish Film Affair”, was held September 22-24, and included the new Best Pitch Award and a panel discussion on developing films for the American marketplace. “It’s been great to see how more and more productions and film projects are applying for the Finnish Film Affair program and how essential they consider this event for advancing international projects,” said Sara Norberg, executive director of the Helsinki Festival. She said the festival received a record number of 90 international guests made up of industry professionals including producers, distributors, sales reps and critics, and a significant number of Hollywood Foreign Press Association members from Los Angeles. The Association co-sponsored an event at the renowned Unaarsari Island where a competition was held for the best film pitch. “This is a tough decision,” said jury member, and HFPA journalist Barbara Gasser, before announcing the winner of the first Best Pitch Award. The award went to Finnish director Elli Toivoniemi’s Once I Was a Dragonfly. The decision was made by Robert Burke of TenOne Entertainment, Berenice Fugard of Fortissimo Films and Barbara Gasser of HFPA, after days of intense pitching from ten works in progress vying for the marketing fund. “Director Toivoniemi has the rare talent for stunning visuals and telling a complex story in a relatable way” Gasser explained. Toivonienmi will receive €3000 (roughly $3400) from the Finnish Film Foundation to promote her directorial debut, a film documenting a young man who, since he was six years old, has devoted his life to following the lives of dragonflies. This marks the fourth Finnish Film Affair. Projects from last year’s FFA went on to earn international acclaim, including Pirjo Honksalo’s Concrete Night, which won the American Society of Cinematographers’ Spotlight award, and Klaus Härö’s The Fencer, which is the official Oscar entry for Finland this year. Following the success of many Scandinavian films in Hollywood, the Finnish Film Affair this year hosted a panel discussion and roundtable event featuring U.S. film executives and agents. The one day event covered strategies to develop and market Finnish films in the U.S. The HIFF executive director who established the Finnish Film Affair four years ago said the festival provided two “B to B” online platforms as well as starting a matchmaking service this year to meet the needs of international buyers during this time to further promote Finnish Films. for festival selection, some of the Work in Progress projects piqued the interests of international film buyers, including Baby Jane, Love Records and The Happiest Day in the Life of Olli Mäki. But it’s not all business in Helsinki. The festival also worked to incorporate elements of Finnish culture into the program and events as a way to introduce international guests to things they might have missed otherwise. These ranged from local food and drink at events, to inviting local designers, and even staging events and parties at art galleries and near cultural landmarks. Helsinki is a compact city and easy to get around. The weather can be fickle, but when it is nice, Helsinki is easy to visit as a pedestrian. When it is not, the city’s trams, which are what they call their electric streetcars here, and buses, are easy to navigate. Couple good walking paths and excellent public transportation with a population that mostly speaks English, and there is hardly any reason to get lost. Photo 1: HFPA's Anke Hofmann presents HIFF executive director Sara Norberg a commemorative plaque. Photo 2: Finnish director Elli Toivoniemi is the winner of the Best Pitch award at the Helsinki Film Festival. HFPA's Barbara Gasser (left) is one of the judges for the new award. HIFF executive director Sara Norberg presented the award.